Big Data. It's one of the most popular topics in today's business media. And it represents a big opportunity. But if you're a small business owner or marketing manager, you might think it doesn't apply to you. Well guess what. It does. Big data isn't just for big companies. Even independent consultants working solo from a kitchen table have marketing data available to them. They can use it for insights into their online sales operations, insights that can be a stepping stone to spectacular results. Today let's focus on Big Data solely as it relates to marketing. Let's talk about how small businesses can collect and analyze Big Data and take meaningful action that can launch their marketing results, including those all important conversion rates, to new heights. Your business, no matter how small, that has any kind of website, e-commerce, email marketing, social media or mobile marketing presence has data available to it. Meaningful data. Data that can tell you a lot about your online visitors, shoppers and customers. Data that tells you what actions they are taking and what they like or don't like about the way you are marketing to them. If you will observe and analyze these actions and take appropriate action yourself, you can reap some pretty big rewards. But you have to act based on what your prospects and customers are doing or not doing. For example, are they visiting your site and leaving it without viewing any other pages? This is know as a webpage's bounce rate. And it fits under the umbrella term “Big Data”. It doesn't just affect large companies. It affects you. It has a direct effect on the overall effectiveness of your online marketing. And if your bounce rate is high, you need to take steps to lower it. This article may very well help you. In your email marketing, is your open rate low? This is the kind of Big Data you need to pay attention to and act on. Managing Big Data, although it presents big opportunities to online marketers like you and I, can be a big challenge. But dealing with it doesn't have to be nearly as hard as you might think. So rest easy. And keep reading; we'll talk about some specific tools to help you tame the Big Data beast and profit from it. And don't give into the temptation to focus on data for its own sake. The Big Data measurement programs you already have, or can easily get, produce a lot of data. You can drive yourself crazy trying to keep up with it all and still not enjoy the marketing results you want from all of your work. So don't try to keep up with it all. Keep up with and act upon the data metrics that matter most to your marketing success – that directly or indirectly have a strong effect on your sales and conversion rates. Ignore the metrics that matter very little or not at all. So what matters and what doesn't? It's going to vary somewhat from business to business. Ask yourself when deciding which data to focus on and which to ignore “Will this likely have an effect on my conversion rate? I think we can all agree that email open and click-through rates, e-commerce shopping cart abandonment rates and webpage bounce rates are all very important data metrics to respond to, and that they have a strong effect on sales. Hopefully we can also agree that social media “likes” and “retweets” do not. So what are some tools we can use to measure the data that's important for small company owners and marketers to know and act on? They will typically be much different, more basic and less expensive than those used by large companies. Some will be free. Some you may already have. This service is the most commonly used website measurement tool. It aims to help marketers by providing detailed statistics about website traffic and traffic sources. Marketers can track where visitors came from, which pages they entered the site on, how long they stayed on each page and which pages they visited once on the site. It can help website owners measure conversion rates, and it offers both a high-level information dashboard for casual users and in-depth reporting capabilities for more serious ones. Google Analytics offers both free and premium version. The free model will be adequate for most small business' needs. Can be a valuable addition to a small business' website traffic generating strategy. But it can also be a financial “black hole” if not approached smartly. Fortunately, if you use AdWords, Google provides you a useful data analytics program that can give you improved decision making capabilities and insight into your PPC campaigns. Even though certain social media-related metrics such as “likes” and “favorites” may not have a direct, or even indirect effect on sales and conversion rates, social media is still a potentially very valuable part of an online marketing campaign. It can lead to relationships in which fans become customers. It can be a useful tool for driving traffic to your blog or website. So you want to monitor and analyze the performance of your social media efforts. HootSuite lets you do this with an easy-to-use program that features a clean, simple user interface. HootSuite offers both free and paid premium versions. Despite the explosive growth of the Internet as a marketing tool, a lot of business is still done offline. People still dine in restaurants. They hang out in bars and coffee houses. They buy clothes and groceries in local brick and mortar stores. Offline marketing is far from dead. And great things can happen when you combine it with savvy online and mobile marketing strategies. If you run a local retail business, you might want to consider Five Stars, a service that helps local merchants set up custom designed loyalty programs. You can use it as a powerful tool to win new customers, grow your business and make those very important repeat sales to your existing customer base. It integrates into your POS system and helps you improve your customer service by allowing you to view relevant customer data right at the point of sale. Five Stars helps you integrate your offline and online marketing efforts by making it easy to run email and text message marketing campaigns based on unique, individual customer profiles. Like we talked about a moment ago, Big Data can be a big challenge, but it doesn't have to be. If you are a small business owner or small company marketing professional, start small. Don't try to start by measuring every part of your online marketing all at once. Measure one part at a time. For example, you may want to start with Google Analytics for your website's performance. Once you have a handle on that, you may want to measure your social media data, and so on. And what's the point of measuring, analyzing and acting on your small business marketing Big Data? Increased sales, of course. 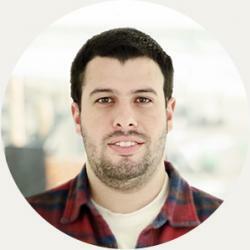 You're putting in this effort because you want to enjoy higher conversion rates. 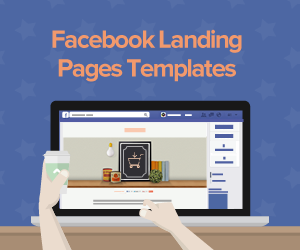 And to experience the kind of conversion rates you want in your online marketing campaigns, you need landing pages. 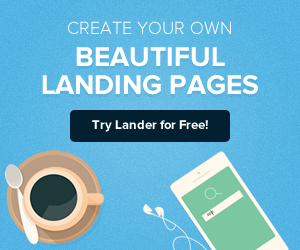 And no landing page platform does more to help you increase conversions than Lander. We offer you a host of easy-to-use tools that help you measure, analyze and act upon your landing page data. With our built-in Dashboard, you can see how your conversion campaigns are performing. 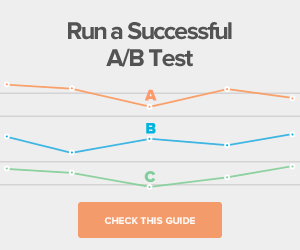 You can view the amount of traffic, number of leads, conversion rate and A/B test results for the time period you determine. 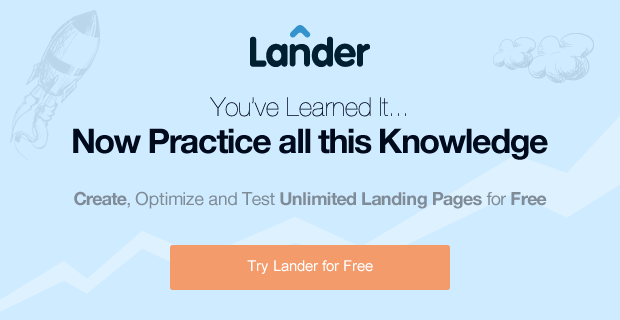 Lander helps you harness the power of Big Data: you can compare landing page performance before and after layout changes and make the “tweaks” that will help you enjoy greater and greater results. Not only does Lander offer you easy-to-use, cutting-edge tools to help you leverage your Big Data to your advantage, it's engineered and optimized to increase your conversion rates. 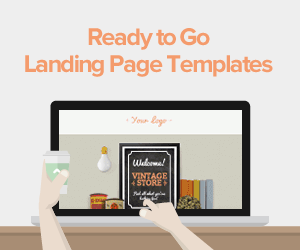 Oh, and one more thing: you can try out any landing page template in the Lander family for free and with no obligation.